Arjun Reddy Remake: Vote Your Favourite Star To Play Arjun Reddy in Malayalam! Vijay Deverakonda's "Arjun Reddy" is reportedly getting a remake in Malayalam. Who do you think should play Arjun Reddy in Malayalam? Manikarnika: Roar, Queen of Jhansi! 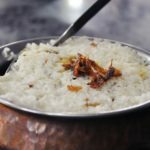 Where do you get the best Biriyani in Kochi? Lijo Jose Pelissery's magnum opus turns two. This action thriller is going places. Looks like the wink magic wasn't enough. We all love the promising talent of Malayalam cinema - Shane Nigam. The dimples, the acting.. he's a great package!